As this month comes to an end (how is that possible? 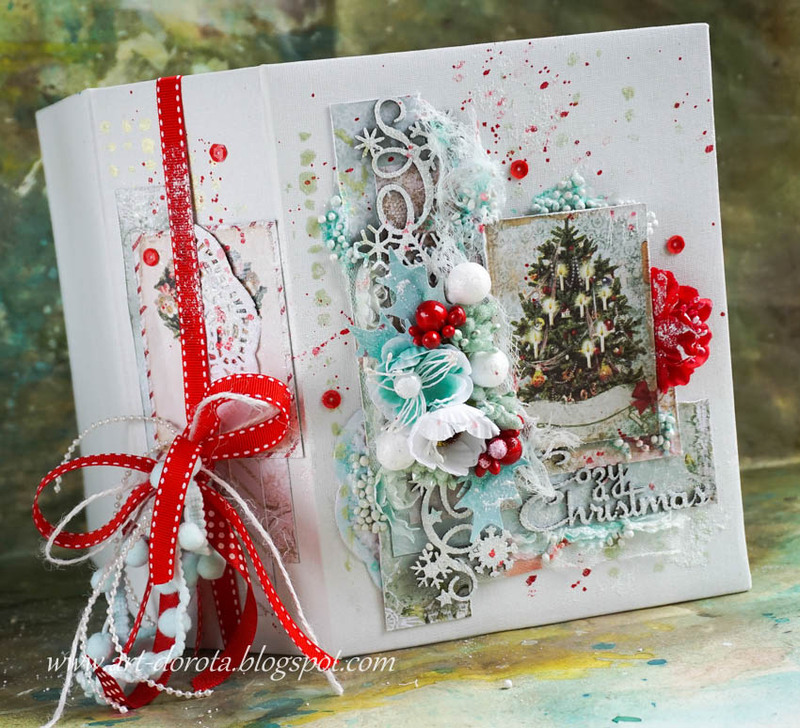 ), we bring you the final project from our November Fan of the Month, Dorota Kopec. You're in for a real treat today! Dorota began with a 16cm x 21cm album. The album cover is white canvas and their are 6 pages inside. She used paper from the Vintage Christmas I and Vintage Christmas II collections, along with lots of winter/holiday chipboard. 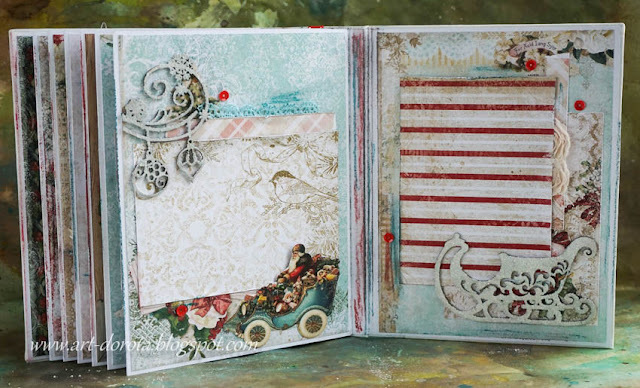 Take a look at the gorgeous cover Dorita created. The title is from the Cozy Christmas 5-piece chipboard set, and the beautiful piece going down the left side of the cover is the Snow Medley chipboard piece. 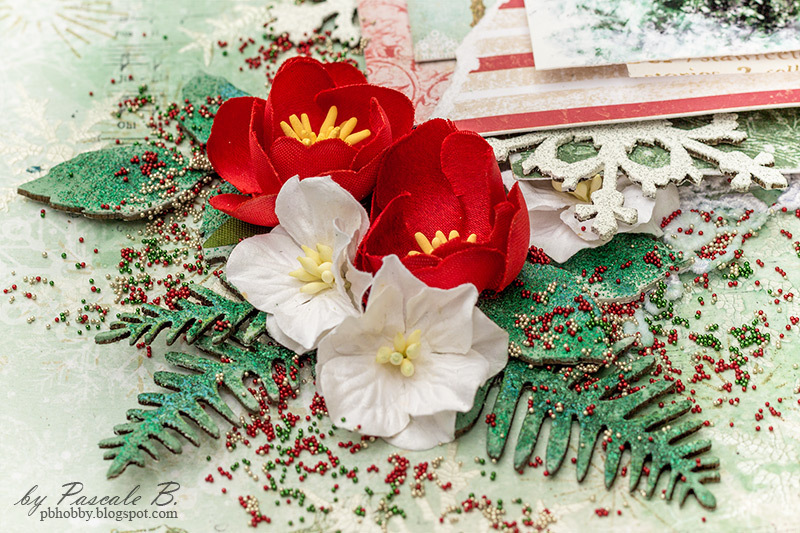 The dainty flowers used on the cover are the Christmas Blooms. The pages in the album are just waiting for holiday photos to be added. 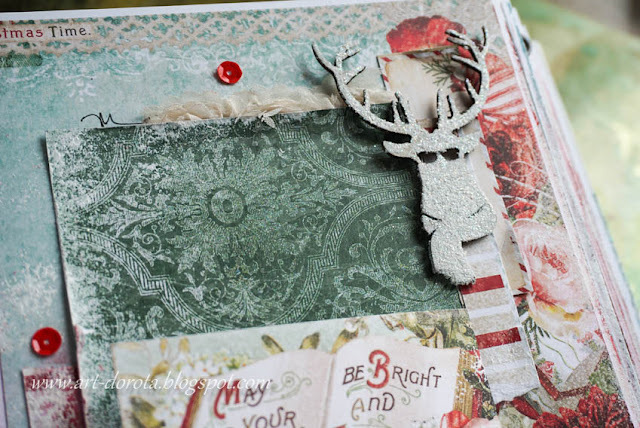 The hip raindeer in the top left corner is from the 5-piece Hipster Christmas chipboard set. These collections are filled with sweet vintage images and small cards for all of us who love fussy-cutting. 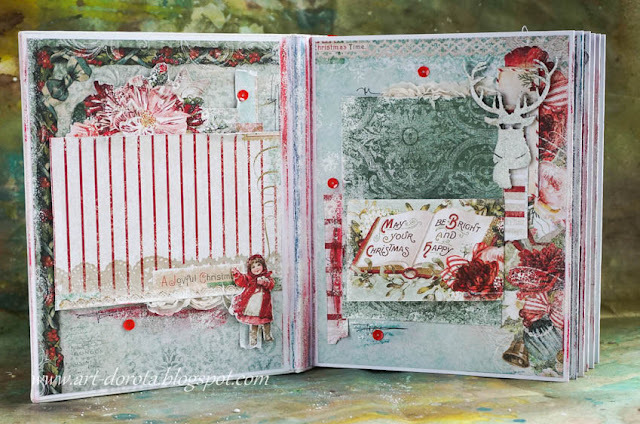 The next 2-page spread in Dorota's album features layers of Vintage Christmas I and II for such an elegant look. 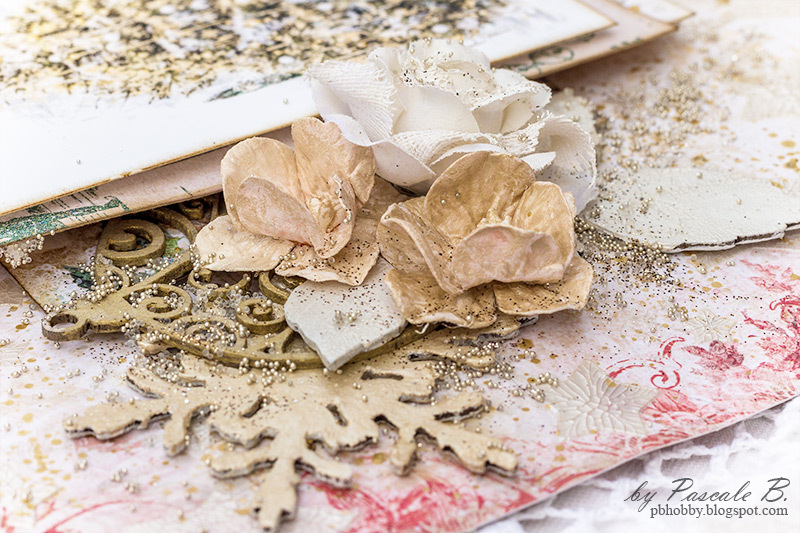 The sweet chipboard piece on the right side is the gorgeous Holidays Bright chipboard piece. 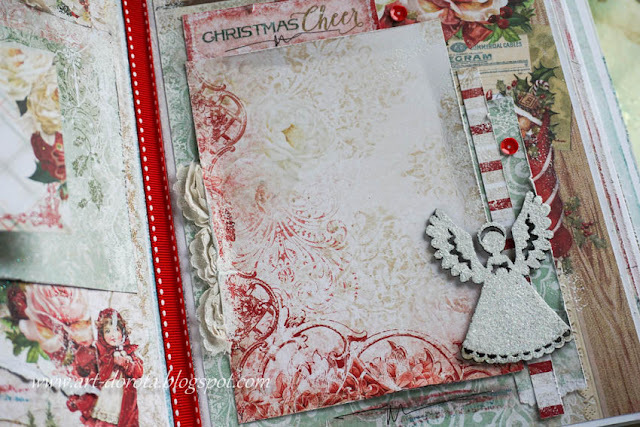 Don't you just love the adorable angel that adorns this page? It's from the Little Angels and there are 4 angels in the set. 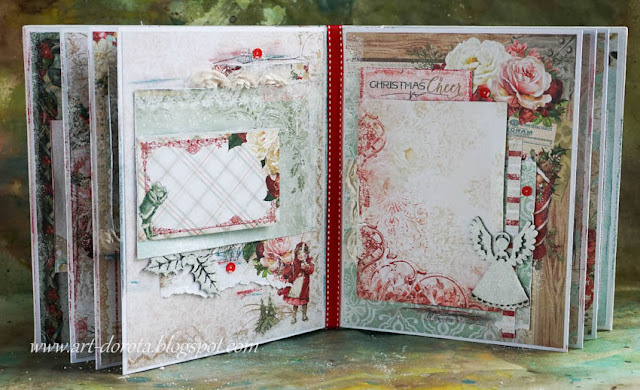 Loads of holiday charm can be seen on these two pages with images of candy canes, peppermints, bells, a village scene, vintage florals and mistletoe. Everything you need for a true holiday feeling! 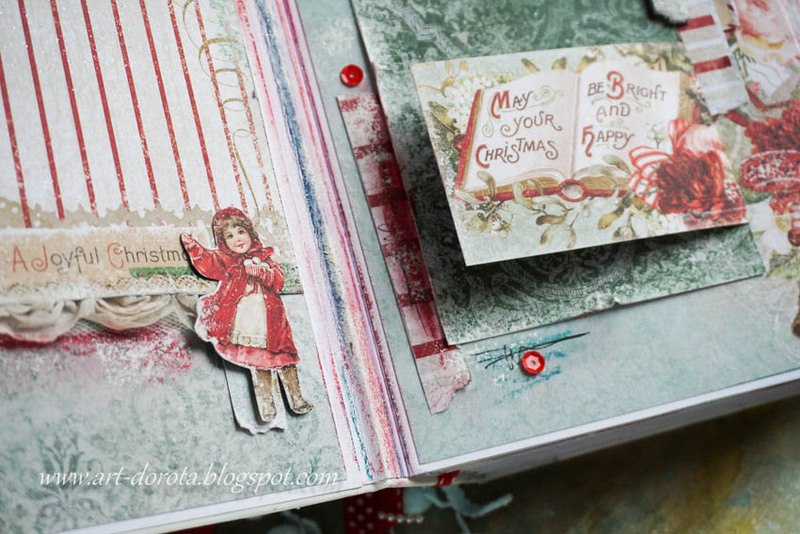 The chipboard pieces on these 2 pages (a section of Holidays Bright and the Winter Sleigh), along with all the chipboard in the album, have been covered with a combination of Blue Fern embossing powder and glitter, which gives it a frosty look. I'm not sure if Dorota is keeping this album for herself or passing it on to someone else, but it is going to be beautiful reminder of this Holiday season. 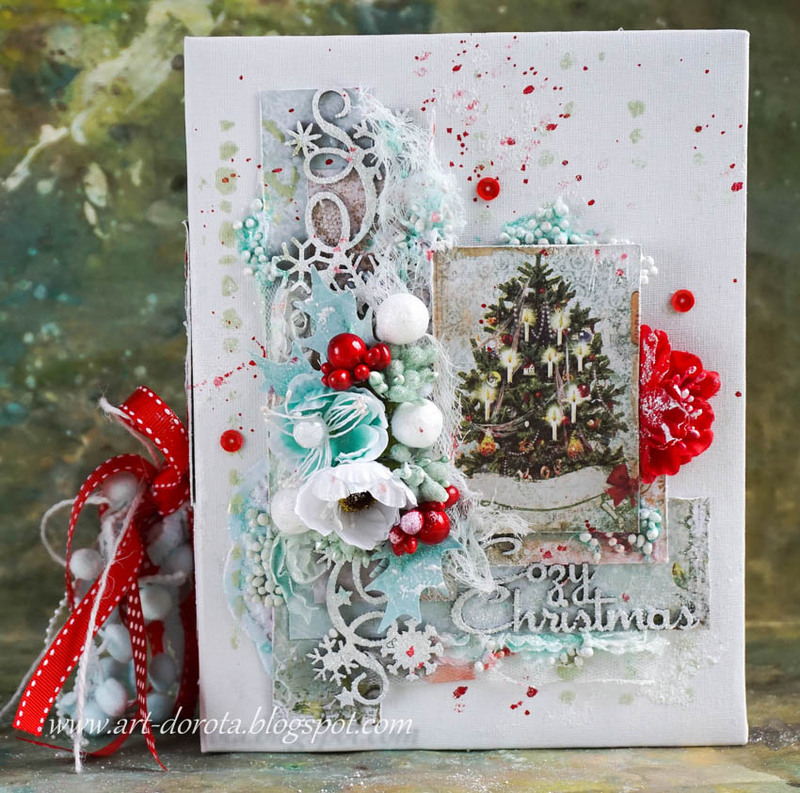 We hope you will join us in thanking Dorota for sharing her album with us, along with all her projects this month using the Vintage Christmas collections. Hope you are enjoying November as much as i do although i must say i'm looking forwards to december. I just love that month with our little girls birthday and Christmas. The sparkling lights, cozy inside with hot cocoa and off course the Christmas tree. 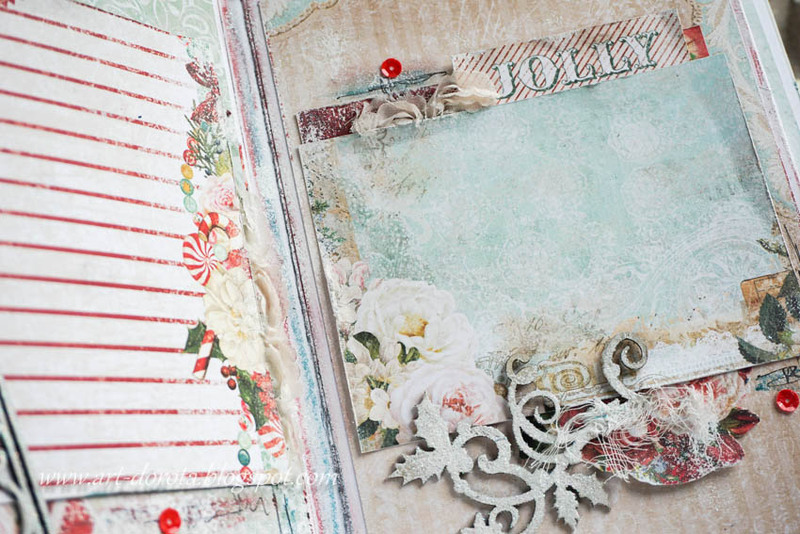 I have 3 layouts this month to share with you, from which one of them of course features the vintage Christmas collection. 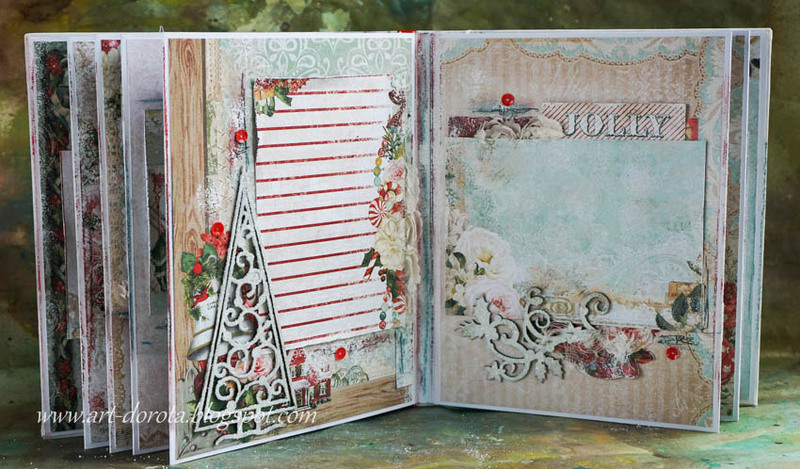 It features an older collection, Timeless, but those papers are still gorgeous! I started with some gesso to secure my paper and used a stencil with moddeling paste and 3 different colors of sprays to give my layout some more texture. 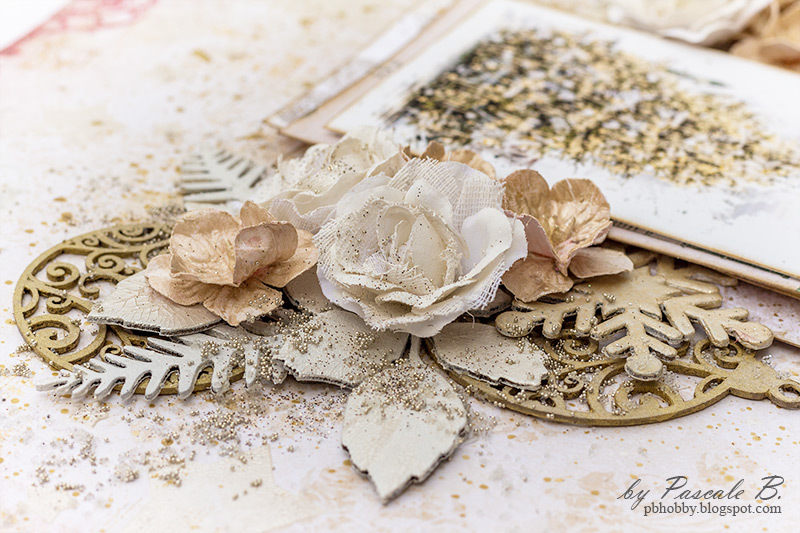 I placed a little piece of cardboard and paper behind my photo to give it some depth and embossed my chipboard pieces. The title Memories with Stormy skies embossing powder, the scalloped border with oatmeal embossing powder and Heidi's Emblem with Taupe Embossing powder. I decided to give the Garden Florals a brown color with a spay to match my layout a bit more. 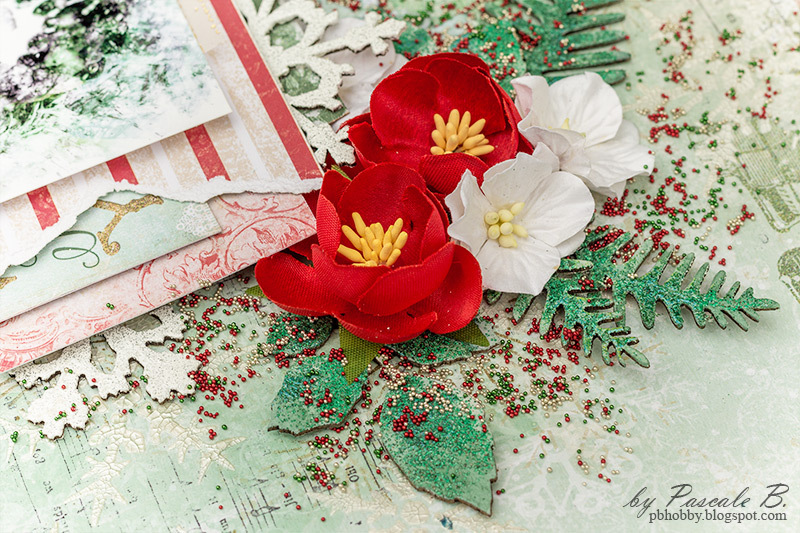 And made flower clusters with the Garden Florals, Wanderlust Lilies and Apricot Blooms. Next i used some metal embellishments and pebbles to finsh my layout. 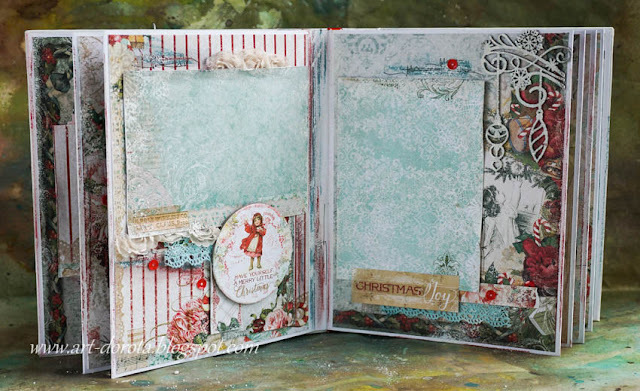 This one features the Vintage Christmas 2 collection. Are those Christmas papers gorgeous or what! 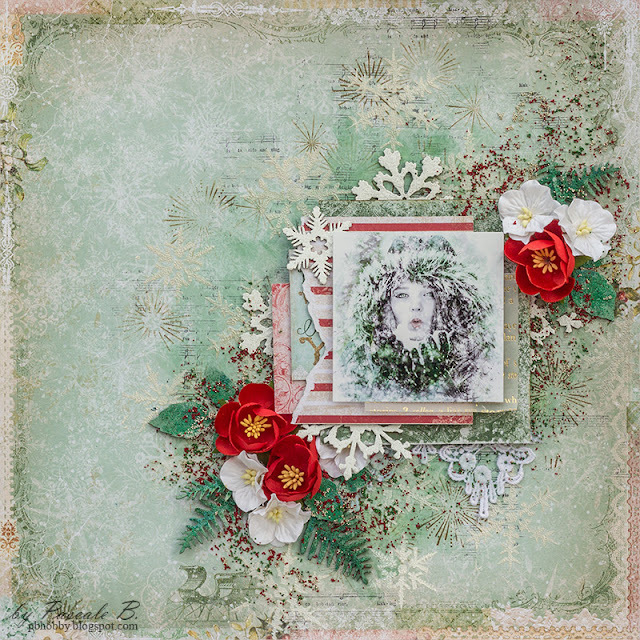 I used the backside of the Let it Snow paper and used some Gesso, moddeling paste and a snowflake stencil for my background, i also used 3 different shades of color spary and the Jingle Bells Stamp. 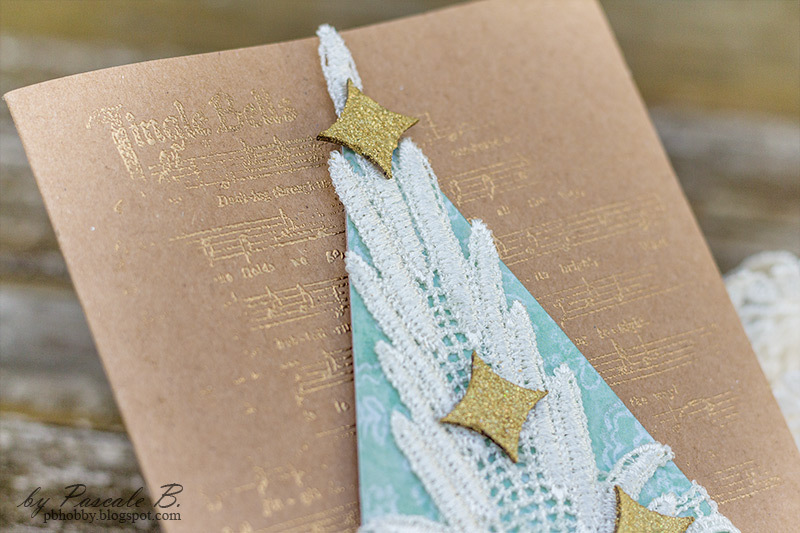 I love Lace number 8, it's so pretty so i had to use it on this layout. The title Warm and Cozy was cut out of a framed winter word and i embossed it with Fern and antique gold embossing powder as well as the Snow medley chipboard. I used some Garden Blooms and Homespun Blossoms for my flowers and finished my layout with glass and sweet pea seedlings. I used the Hospitality paper, and a placed a piece of the Crafty paper on top. 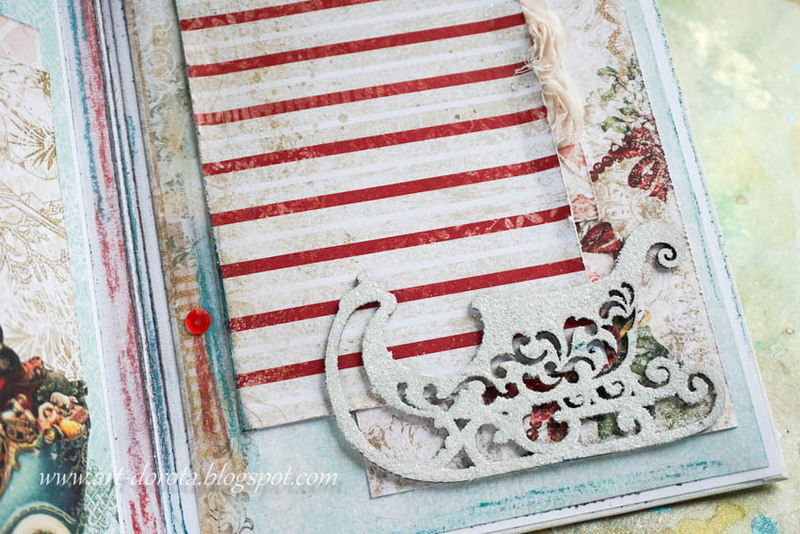 To create some texture i used a doily and a stencil with moddeling paste. 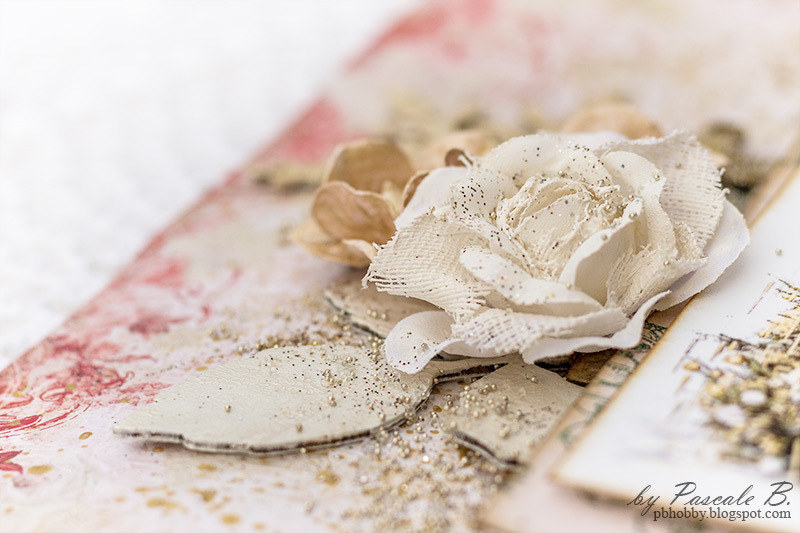 I framed my photo with a piece of coordinated chipboard from the Homespun Collection. 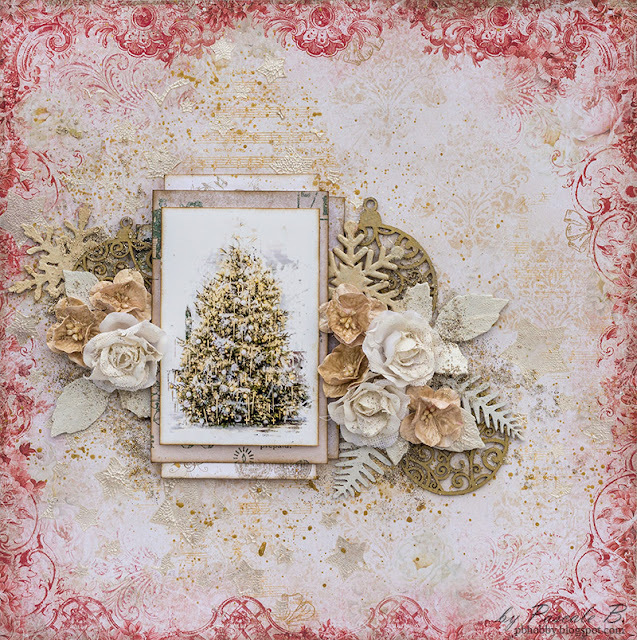 For my chipboard pieces i used the title Delightful from the optimist word set which i embossed with Taupe embossing powder, The Classic Corners with Pink dust and the Mesh Bits with Snow embossing powder. I finished my layout with Mauve and Wintergreen Seedlings and some flowers from my own stash. Hope you enjoyed this inspiration and have a great week! Today I'm up on Blue Fern Studios blog with three new projects.The first one is a layout featuring both Vintage Christmas collections. I primed the background with clear gesso. 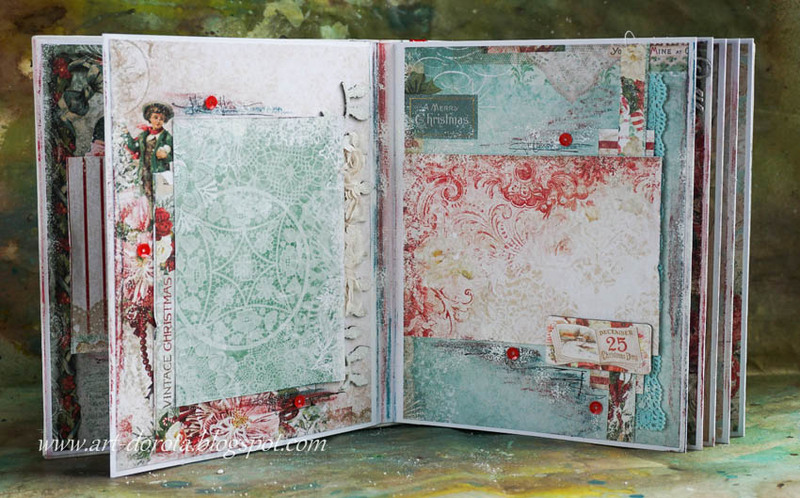 Next, I stamped randomly with the Jingle Bells and the Christmas Collage stamps. 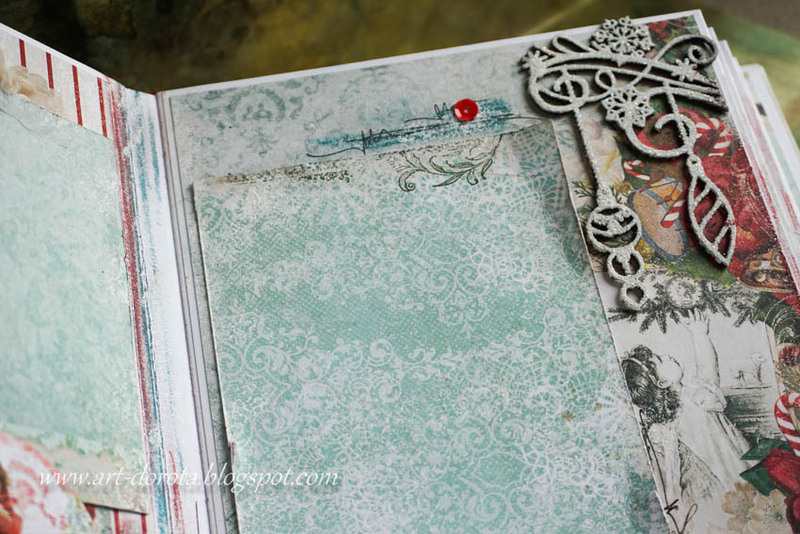 When done, I added a design with a stencil and Platinum crackle paste. I let dry naturally. In the meantime, I primed all the chipboards with white gesso. I embossed the snowflakes with the Icicle embossing powder. I painted all the leaves with a green watercolor, then I sprinkled them with the Fern and the Clover embossing powders to add some texture. 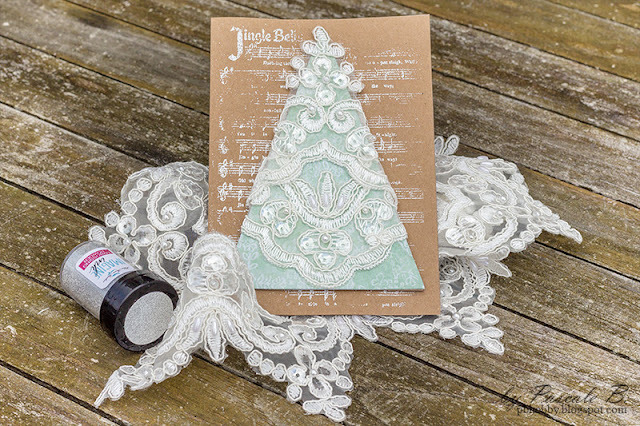 I cut a few pieces of paper to add under the photo as well as a piece of lace. 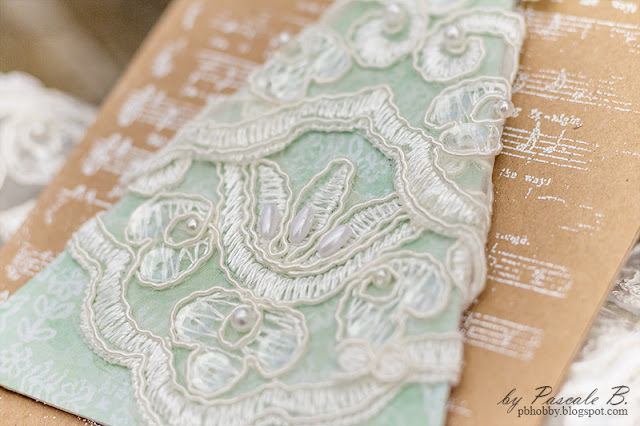 The crackle paste dry, I added some green to the background before gluing all the embellishments with a 3D gel. To finish the layout I added some seedlings. 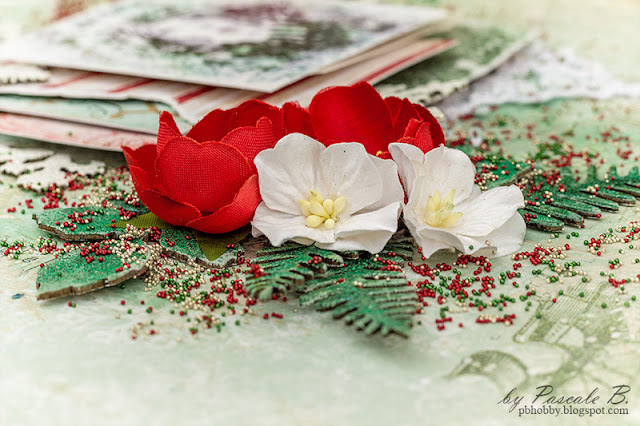 My second project featured also the Vintage Christmas collection. 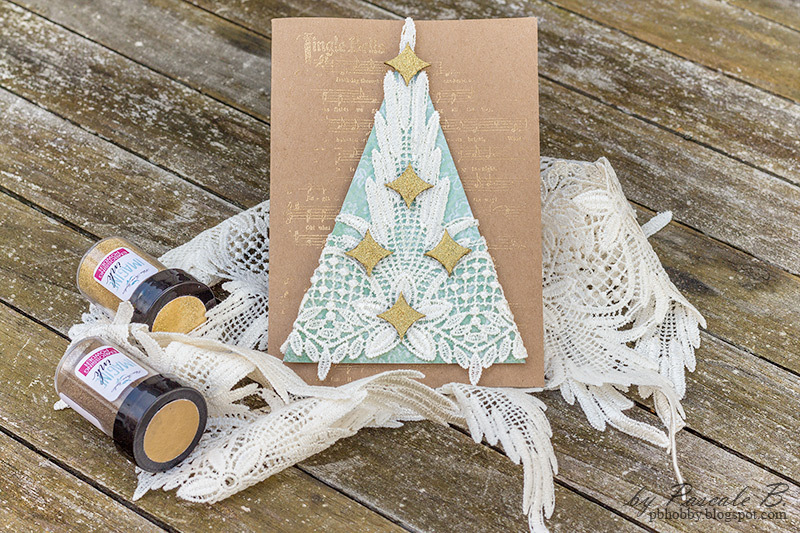 I worked with white and gold colors to remind those of the Christmas tree. First I primed the background with clear gesso. When dry, I added an embossed design made with the Jingle Bells stamp and the Honey embossing powder. 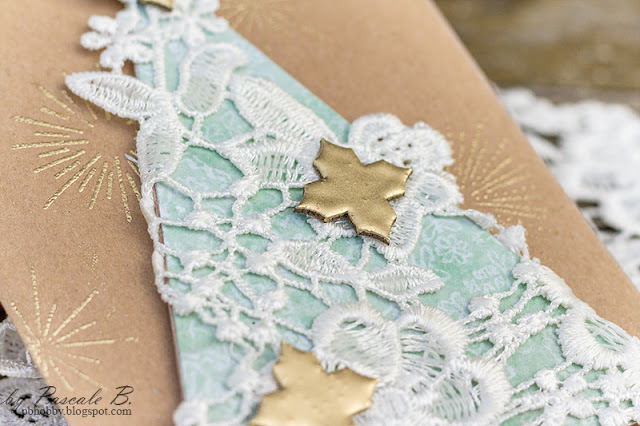 Next, I added another design with a stencil and Platinum crackle paste. 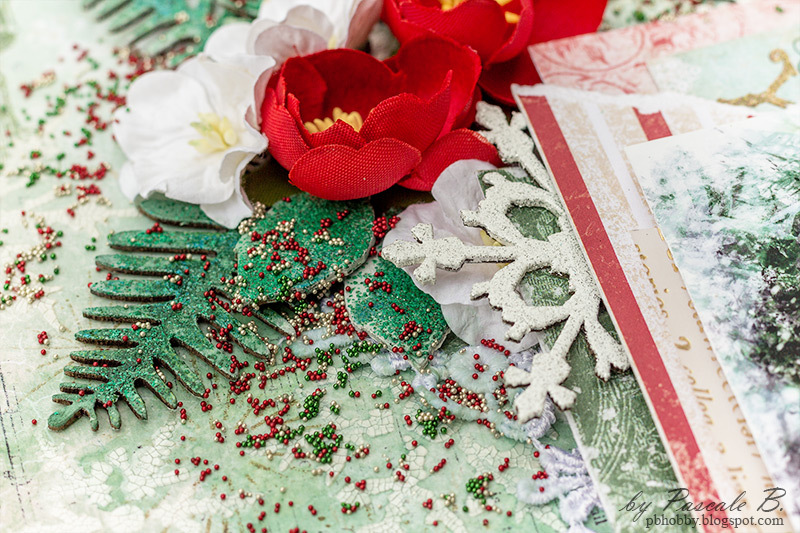 While the crackle paste was drying, I primed the Rose leaves, the Fern leaves, and the Snowflakes with white gesso as well as the flowers. 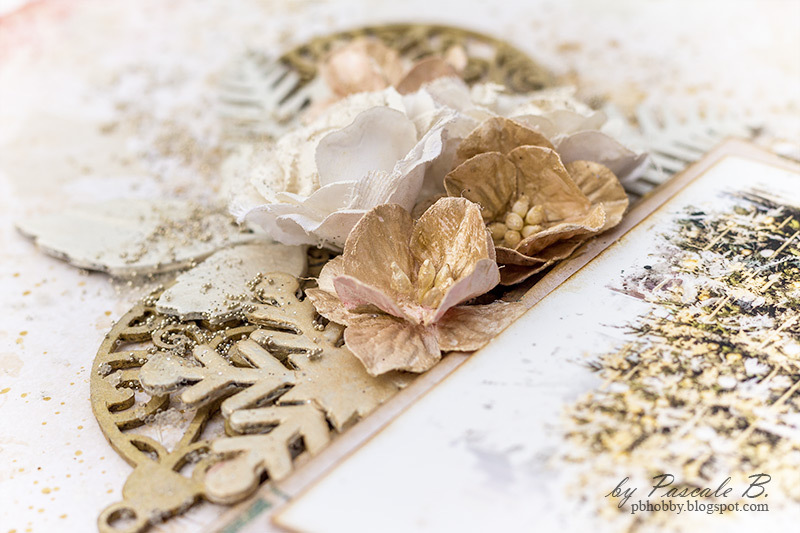 I covered the Swirl Ornaments with Gold crackle paste. I splattered the background with acrylic paints: one gold, the other white pearl. I used those same paints to color the Snowflakes and the Amber Blooms. 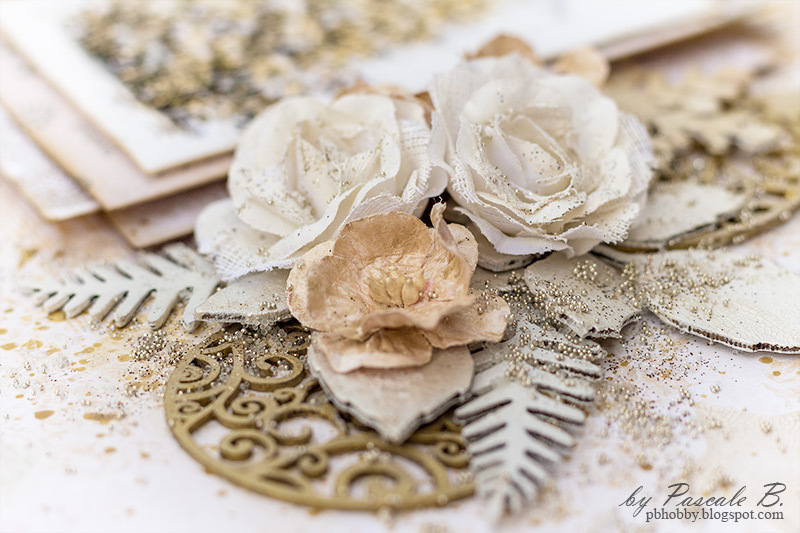 I covered the Rose and the Fern leaves with Platinum Crackle paste and let them dry naturally. I cut a few papers to add under the photo and I glued all the embellishments with a 3D gel. 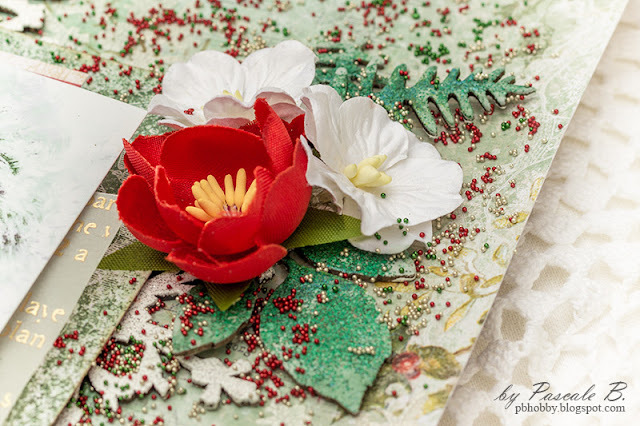 To finish the layout I added seedlings and glitter. Here is my last November project: I made three simple Xmas cards with lace, paper and embossing powder. The three cards are made on the same model. 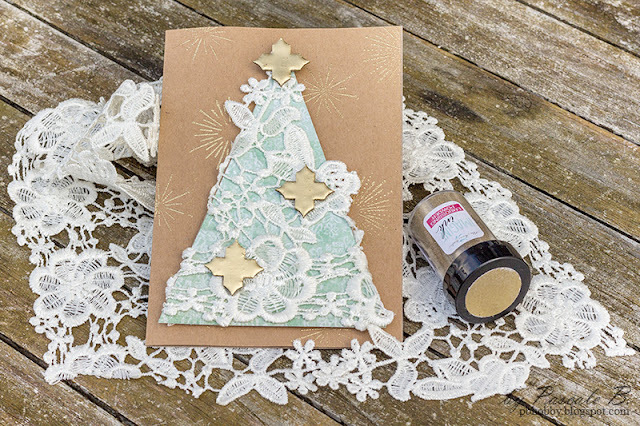 I cut a triangle in the Homemade paper from the Homespun collection to make the Xmas tree. I covered the triangles with laces. I used some left over from the Quatrefoil panel and from the Quilted Page panel to represent the Christmas Tree balls. I embossed them with the Ginger and the 14 Karat powder. The card bases were stamped with Versamark and embossed. Meet our November Blue Fern Fan of the month.